You know what you want in an employee, but how will you find exactly what you want during the hiring process. It all starts from the job board and posting a job. If you make a mistake in the job post then anyone might apply thinking they are a great estimator. Others may apply figuring they can learn on the job. Still more might believe that their disadvantages can be overlooked as long as they are a loyal employee. The HVAC and Plumbing industry does not have enough quality technicians and estimators to take care of the demand. You already know this, which is why you need to find a quality estimator you can trust and one you want loyalty from. You know you want someone who is proficient in their knowledge. They need to be able to read plans in order to estimate the job correctly. They also need to have a good handle on sales products in order to estimate an efficient system that will also be cost effective to the homeowner or building owner. Part of your HVAC Estimator‘s job is going to be assessing a system and estimating prices for replacing the system, upgrading it, or fixing it when it goes down. You already know what is being stated here. What you need to do, which is very tough, is turn what you know and want in an estimator into a job board posting that will convey this. How many jobs do you need estimated in a day? Are you willing to settle for someone who is not organized? How can you assess time management from a job posting? This is a little tough, but you need to phrase time management in a way that will get you the employee you want. Using the word “time management” does not work anymore. It is too much of a buzz word. So is there a way you can phrase it to read appropriately in the job board? How many hours are you able to give the new employee? What is the pay scale besides DOE? Be specific about the pay scale and you can eliminate some job seekers right away. The usual qualifications have to be included in the job post such as proper schooling, training, and certification. You also want to throw in a test with your job post. This is actually very important in the HVAC industry. It is possible someone can lie about their results, but if you make it a test that is submitted with the resume then you have a way to eliminate some job seekers. After all if you have a test but keep the answers to yourself you can find out what they know and eliminate them right away. 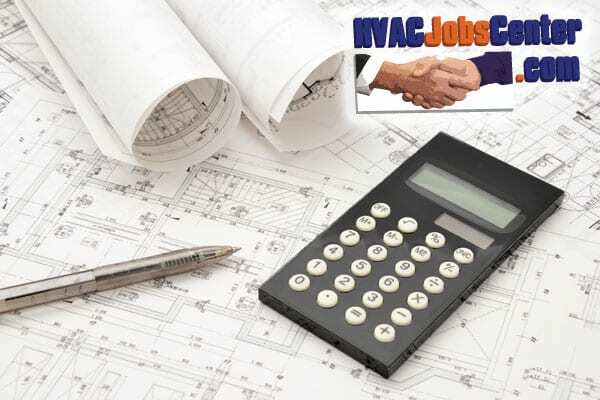 Such a test is an extra tool to help you find a proficient HVAC estimator.